To add brightness, joy and festivity in the lives of customers this Ganesh Chaturthi, Dish TV India Limited, world's largest single-country DTH Company has announced special HD offers for its existing and new customers. Under its campaign “Bye Bye Ordinary, Hello HD”, new customers can opt for High-Definition connections that includes set-up box and antenna along with Gold Club HD pack, which offers 240+ channels and services including 30+ HD channels across Hindi entertainment /sports/Kids and Infotainment, starting at just Rs. 2703 for 3 months and Rs 4483 for 12 months plus taxes. Adding to the festive delight, this Ganesh Chaturthi, Dish TV is also offering affordable recharge offers to its existing customers. Under its Gold Club HD Pack, DishTV is offering maximum entertainment options in High definition at the cost of Standard definition starting at just Rs. 3060 plus taxes for 12 months. This turns out to be just Rs. 255 for a month which is less than the price of ordinary cable connection. Additionally, customers can choose 3-month recharge package at Rs. 850 plus taxes. 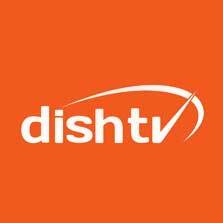 On the occasion of Ganesh Chaturthi, while other DTH players are not likely to provide full Marathi channels, DishTV is going out of the way to maximize content through its ”Sampoorna Marathi” initiative, providing relevant Marathi channels in its bouquet. Speaking on the launch of the offer, Mr. Sukhpreet Singh, Corporate Head – Marketing, Dish TV India said, “Ganesh Chaturthi is one of the grand festivals of Maharashtra which is celebrated with utmost excitement and enthusiasm. To welcome the celebrations of the festival, we are happy to announce our special HD offer. With customers aspiring for HD channels, this move is to make HD affordable and allow customers to upgrade to High Definition experience. Our new offerings with an enhanced focus on HD is in response to our consumers viewing habits making quality entertainment more accessible and economical”.